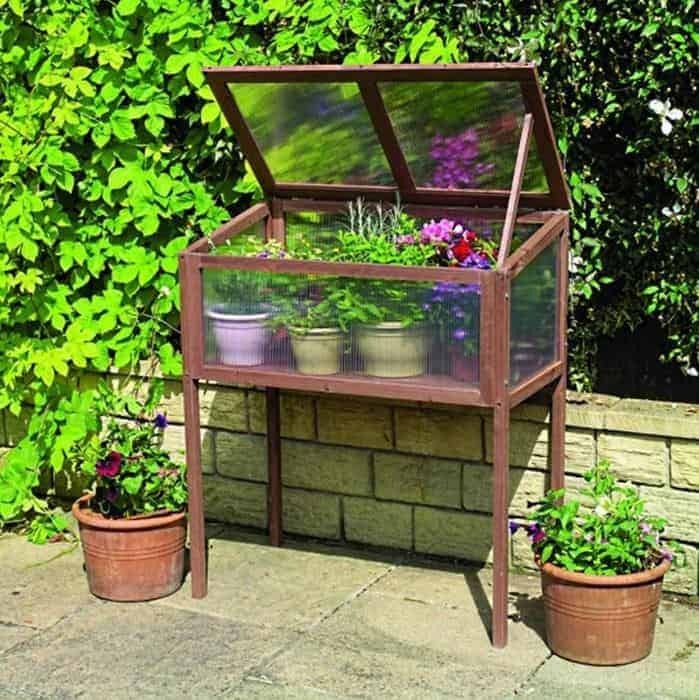 Lean-To Greenhouse, Offers & Deals, Who has the Best Right Now? 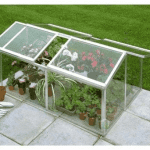 If you’re serious about your gardening then a lean-to greenhouse is an essential purchase. 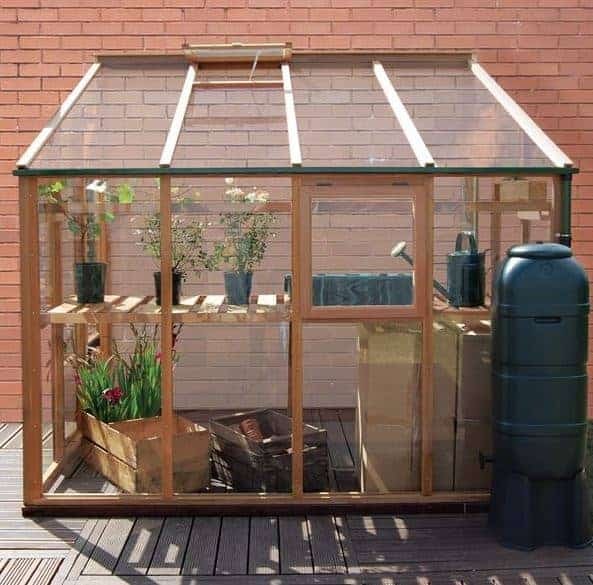 The vagaries of the British weather can play havoc with your pots and beds, but a greenhouse means that the less hardy vegetables or flowers that you grow will be given protection from the elements when they need it most. 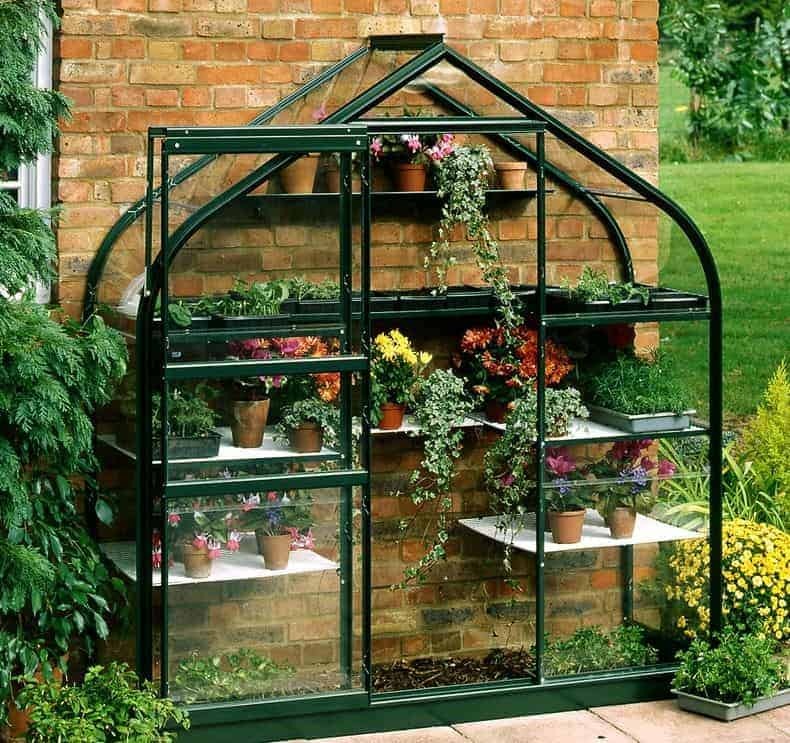 Greenhouses come in a wide range of styles and varieties of course, but lean to greenhouses can be especially useful because they typically take up less space in your garden, can often provide better value for money, and benefit from the residual heat coming from the wall that supports them. 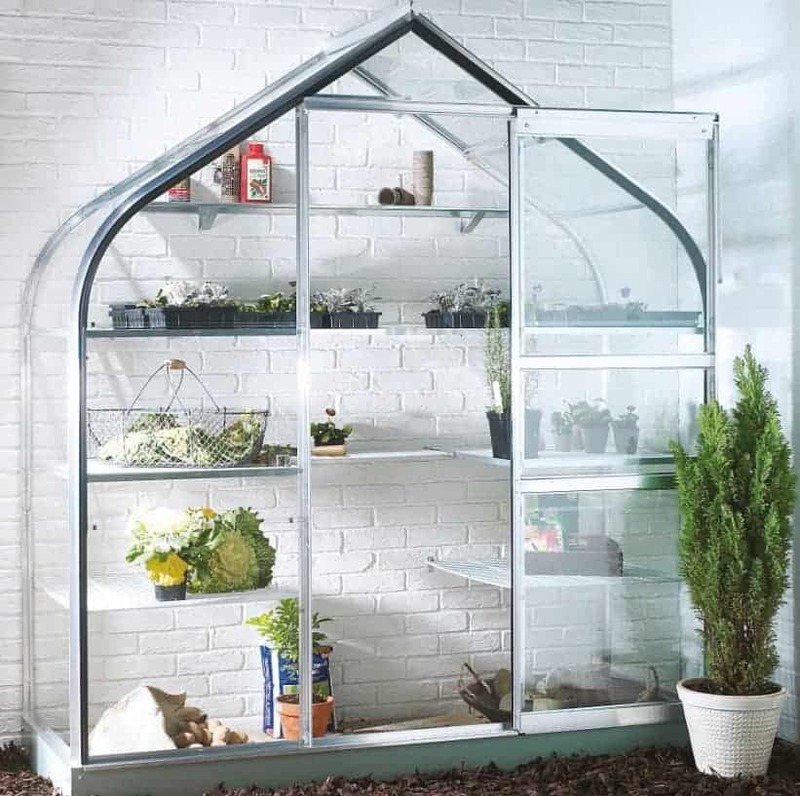 If you want to find the model that’s perfect for your garden, then help is at hand with our WhatShed guide to the top 20 lean to greenhouses for sale in the UK today. 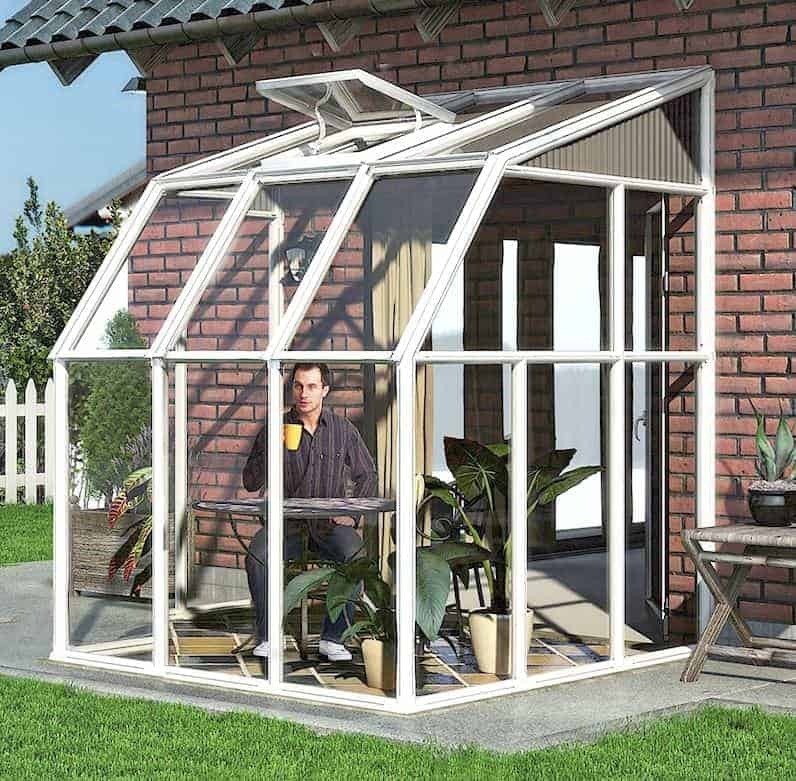 What did we look for in a great lean-to greenhouse worthy of our list? Price certainly was a factor, as was the capacity, but we also had to appreciate that people work to different budgets and have different gardening needs. 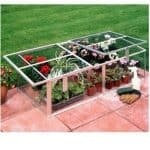 That’s why you’ll find greenhouses in all sizes and at all prices too, so whatever your unique requirements are you’re sure to find what you need here in our WhatShed 20 best lean to greenhouses that can be purchased online in the UK today. 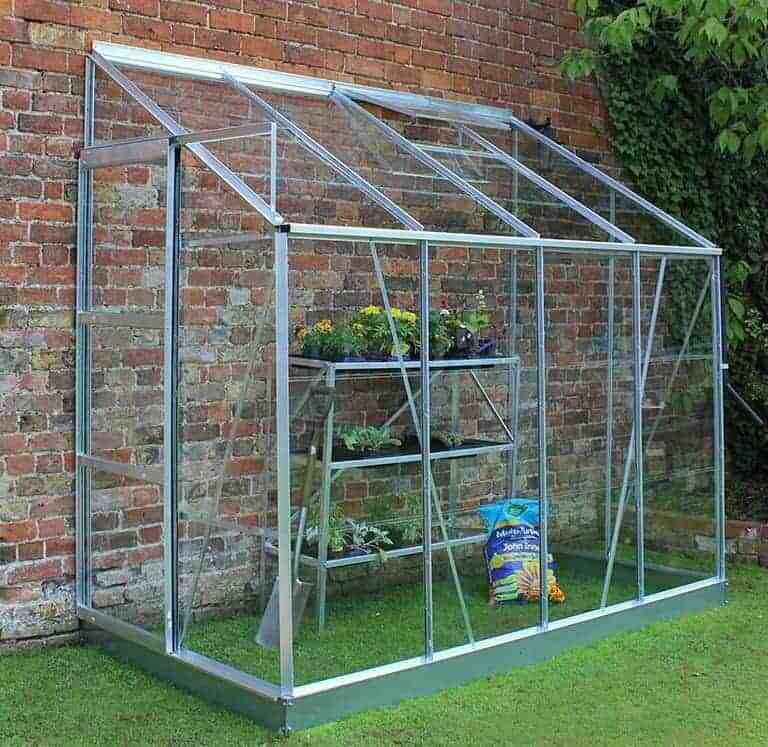 Congratulations then to the Eden 612, a very deserving winner of our 20 best lean-to greenhouses currently on sale in the UK. 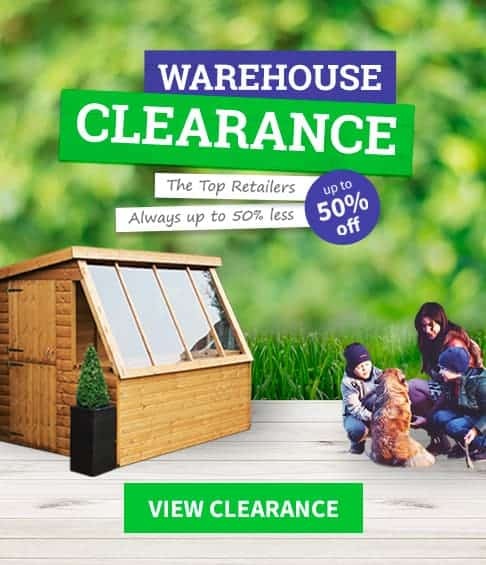 Of course, the one that suits your needs best will depend on what size of lean to greenhouse you’re looking for and how much you’re willing to pay, so we hope that there’s something for everyone in this league table. 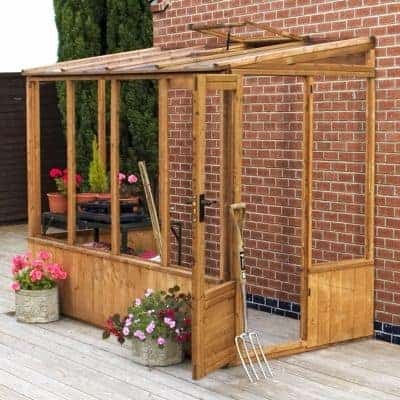 Whether you’re looking for a traditional greenhouse or a lean to, a PVC shed or a timber playhouse, WhatShed will keep on bringing you the in depth reviews that help you make the best buying decision every time. The content on this page is protected via a DMCA digital signature, no part of this page may be reproduced without permission. 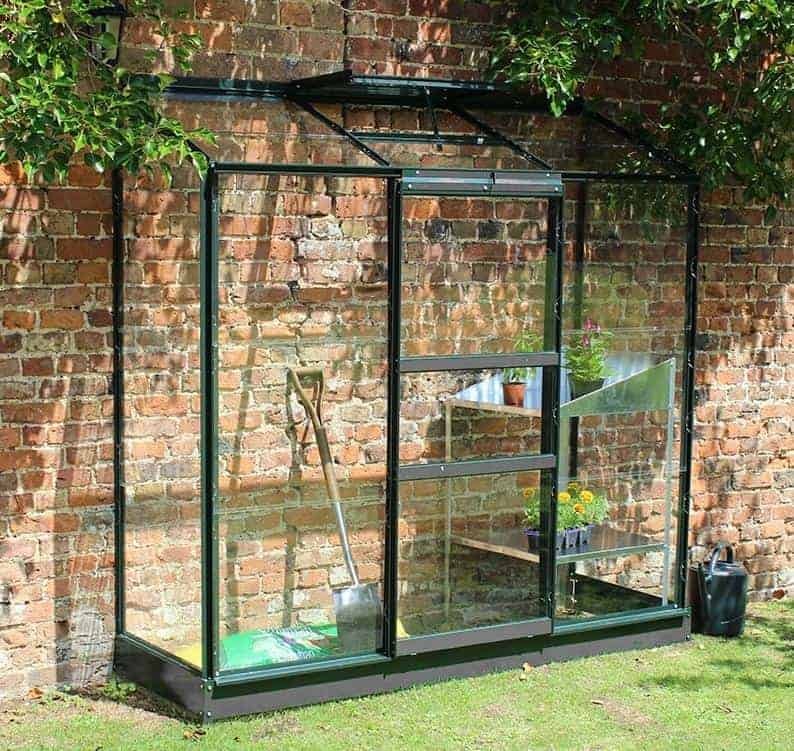 The top three of our WhatShed 20 best lean to greenhouses is dominated by those which are approximately four foot by eight foot, and yet by combining high quality materials, a long warranty period, and great value for money, this is the deserving winner of the prestigious number one spot. 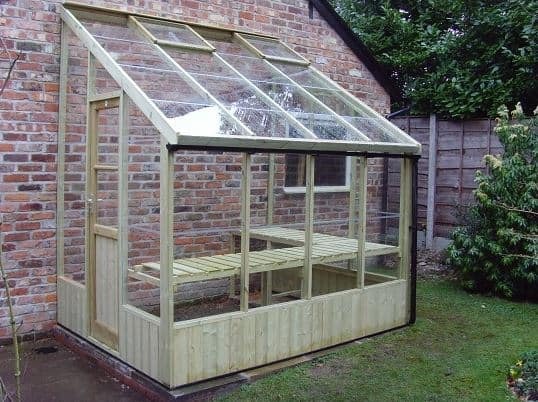 It has a width of 1.35m, a depth of 2.49m, and a peak height at the top of its pent roof of 2.09m but whilst these are all very impressive in their own right, this is a garden building that has much more to offer. 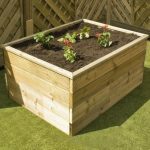 It comes with an integrated base and two roof vents, and the wooden frame can be taken in either a treated or natural finish. 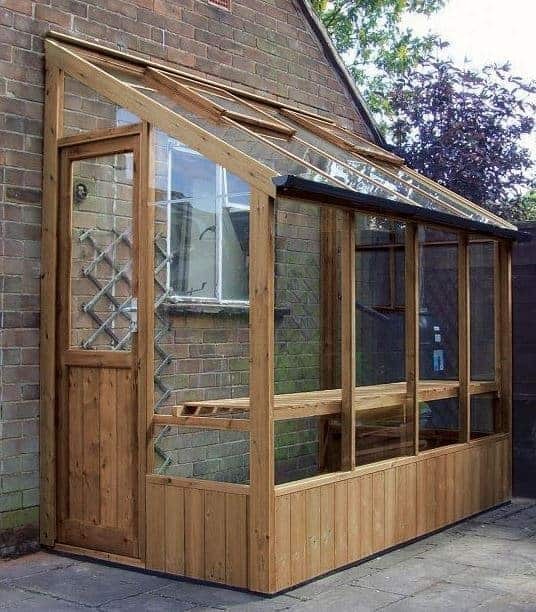 That’s just one of the many options available to the customer, another being the option to upgrade the standard horticultural glazing to tougher safety glass that meets the exacting BS6206 standard, or even polycarbonate glazing for the toughest finish of them all. With such a low starting price, we can imagine many people taking advantage of one of these options. 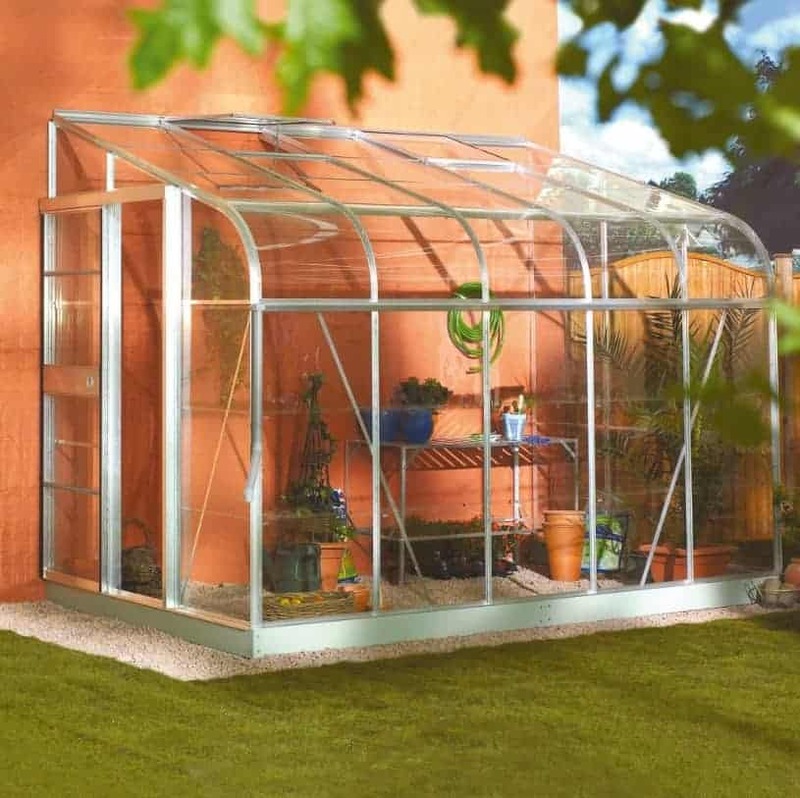 What we liked most of all is that it comes complete with a 12 year warranty, and this, combined with its comparatively low price, makes it our number one choice for people who are looking for a large and accommodating lean to greenhouse. 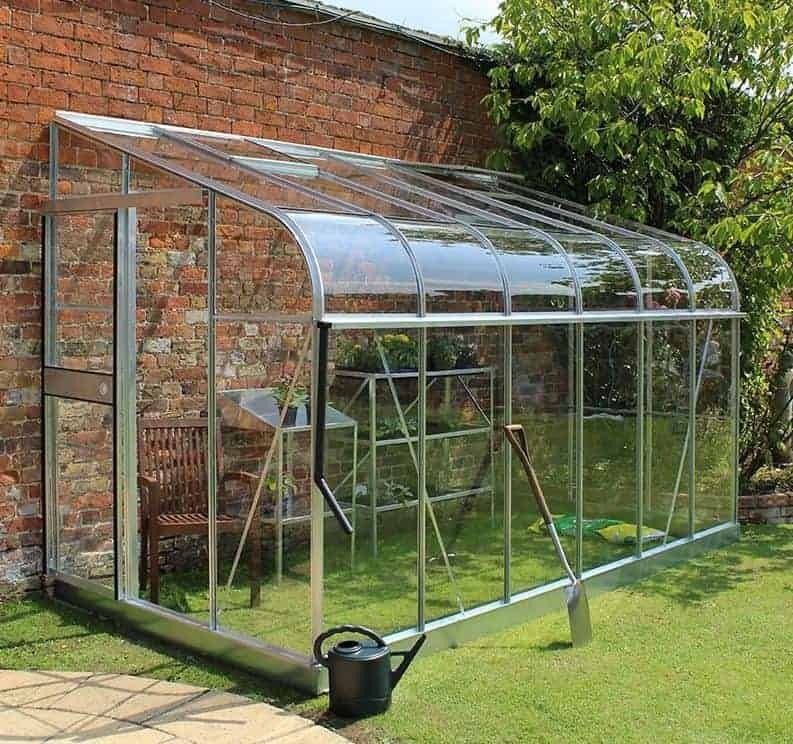 We now take a significant step up both in the size of the greenhouse and in cost, and both of them have been taken into account when considering its eventual position in this list of the UK’s best lean to greenhouses. 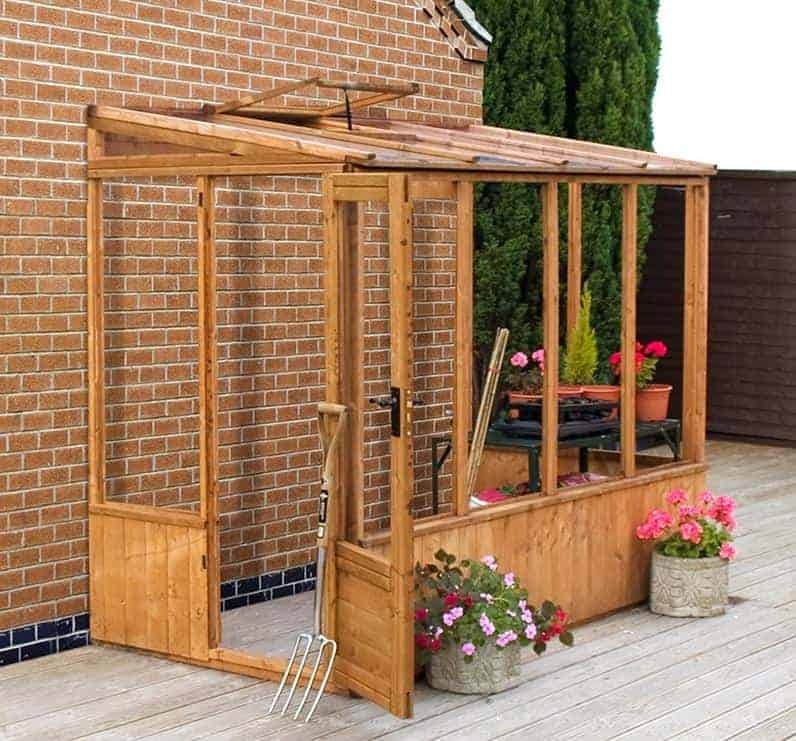 It’s also the first wooden greenhouse that we’ve included, and the western red cedar frame gives a classic and attractive look. 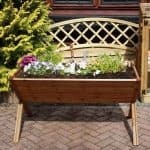 If you have a traditional garden, whether used for flowers or vegetables, then this is sure to fit in well and it will catch the eye of your neighbours and passers by. 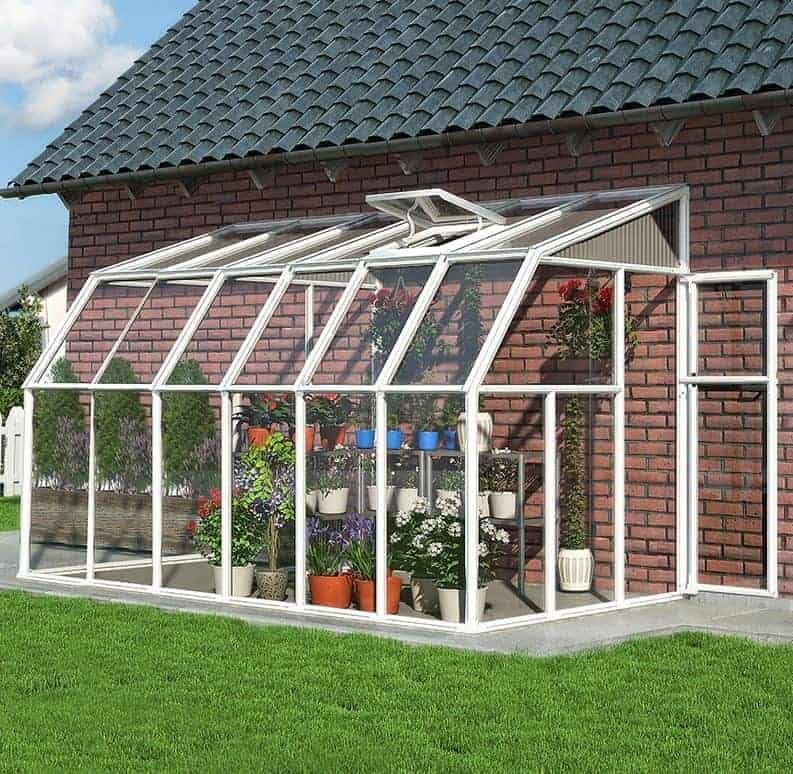 The width of the building is an impressive 2.40m, with a depth of 1.93m, and the pent roof with a built in vent peaks at 2.26m. 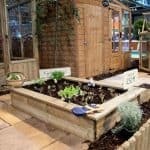 One feature that we particularly liked is that there is a strong gutter and downpipe attached to the building which collects rainwater that can then be used on the plants. 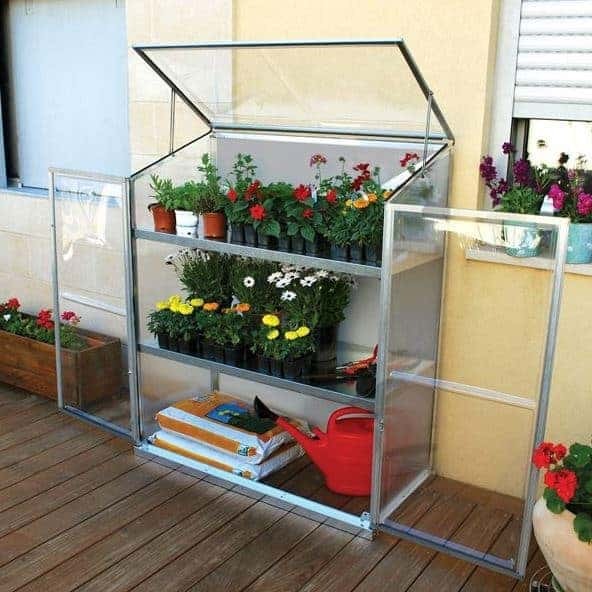 In this way, it’s a greenhouse in more ways than one. 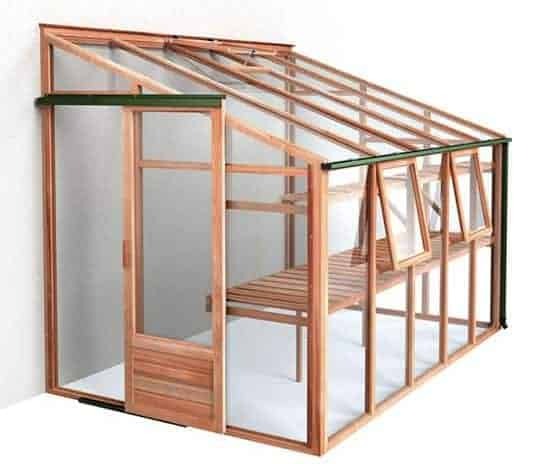 We were also impressed by the 10 year anti-rot guarantee which is testimony to the natural resilience and rot resistance of the oil rich western red cedar as a substrate. 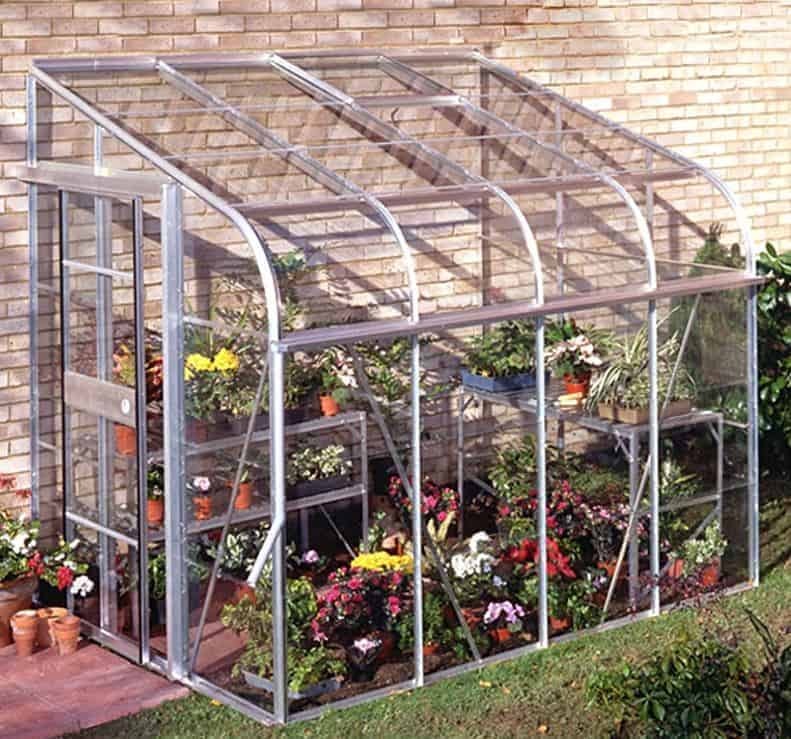 On the downside, however, this costs substantially more than many of its competitors which is why it isn’t placed higher on our list of the top 20 lean to greenhouses. 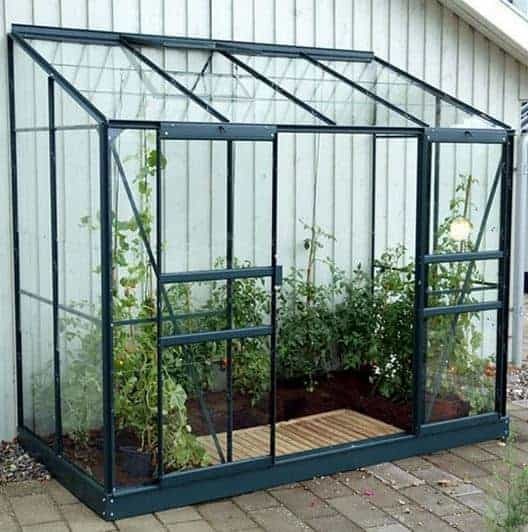 Thank you for the survey , I have been looking for and trying to buy a 6 X 8 or 10 ft lean to aluminium frame only .I am limited by height ,so I am looking to purchase a frame only which I will cut to size and then fit the glazing . In nearly all cases when asked for frame only I am quoted a cost greater than the total package . Can you direct me to a frame only supplier ? 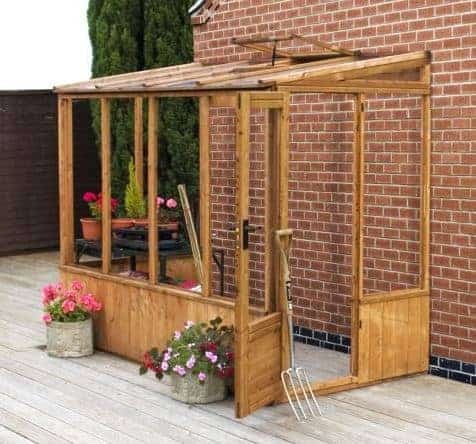 Hi John, we have not come across a frame only supplier. 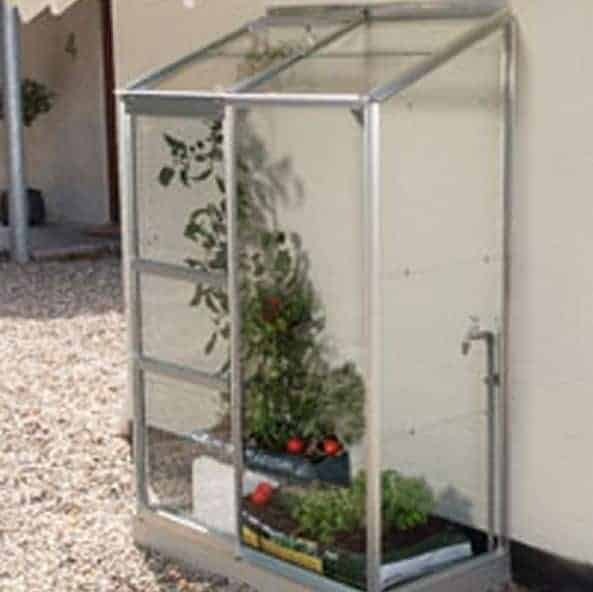 You could try contacting Vitavia at the following link http://www.vitavia.co.uk/ You might have some luck with them as they are a UK maker of greenhouses. Failing that eBay is a good option for a frame only option.